Simplistic, yet stylish the Clara Industrial Round Dinette Table by LumiSource will bring reclaimed-style into your home. 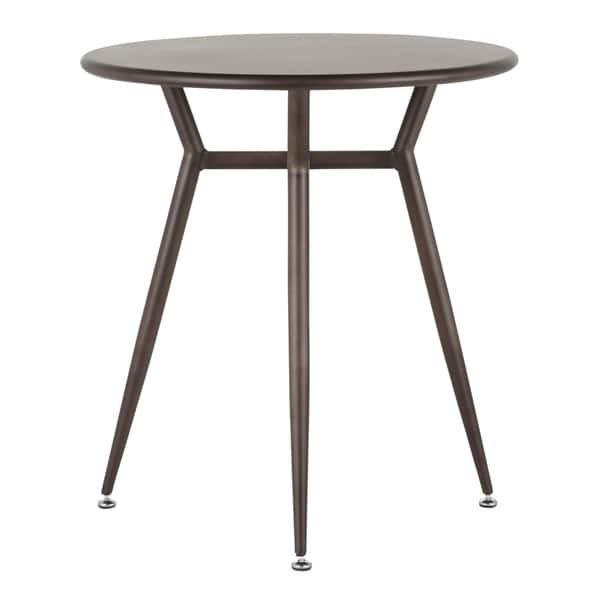 The Clara Dinette Table features durable tapered metal legs with a round wood or metal table top. Available in a variety of finishes, choose your preferred color. Dimensions 27.75 In. X 27.75 In. X 30.25 In. "Is the antique color black?" The antique color is more of a brown/bronze finish.